The wonderful thing about bad movies, especially bad action/adventure movies, is that they are often redeemed (at least partially) by something utterly absurd. In the case of three fairly lousy flicks–Damnation Alley, Tango and Cash, and Mystery Men–the key element that saves these otherwise unremarkable movies (at least for me) is a cool truck. You can check out these film-saving rigs here. Looking back to my childhood, I realize that it was the cool vehicles that made three rather dull kids’ shows tolerable for me . Maybe you recall watching these shows yourself. If so, let us know what you think. And if you thought Dyna Girl was cuter than Electra Woman, let us know that as well. The place to leave comments is below that last vehicle. 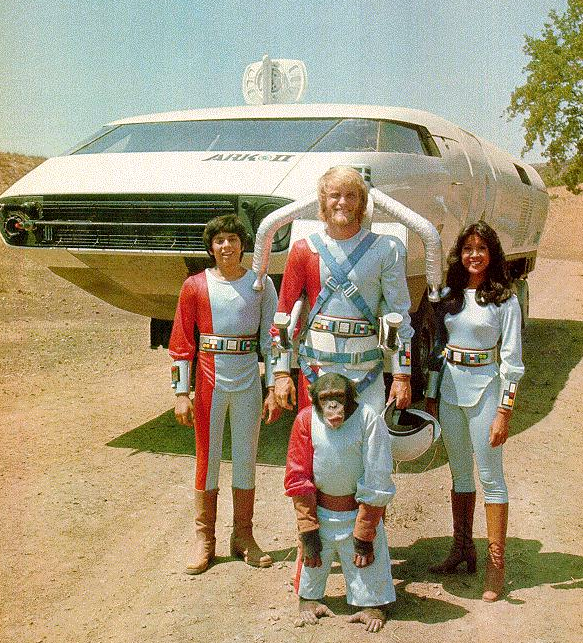 Staffed by young scientists–and one monkey–ARK II roved 25th-century earth looking for ways to reverse the devastation caused by pollution and human neglect. The Roamer was carried in the rear of the ARK II; the vehicle was based on the Brubaker Box (below), a period VW Beetle kit-car conversion. 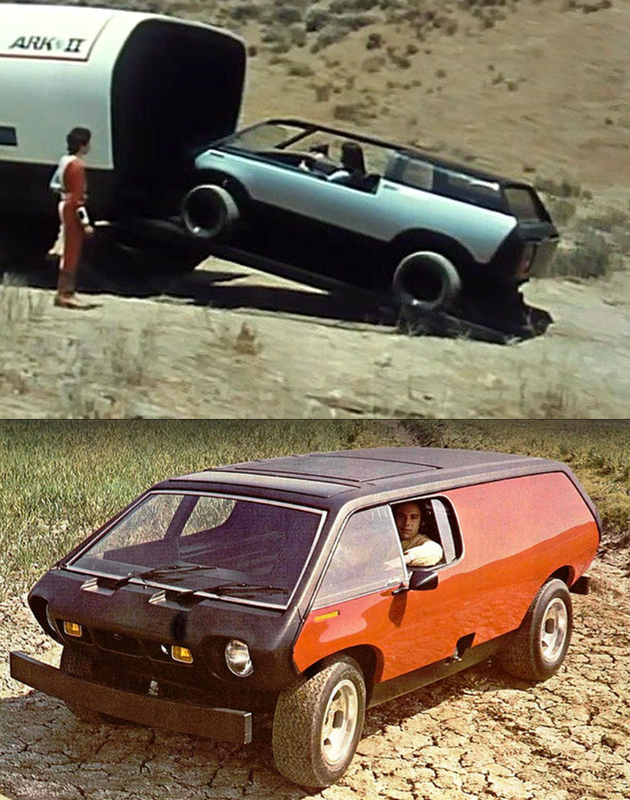 There are a number of similarities between the ARK II vehicle and the Damnation Alley Landmaster. Both vehicles were huge, both were meant to survive post-apocalyptic terrain, and both appeared on screen in the late Seventies. Damnation Alley, however, was a film, whereas ARK II was a kids’ television program, and a rather high-concept show at that. Unlike the Landmaster, which featured a rag-tag crew navigating a post-nuclear landscape, the staff of the ARK II was made up of young scientists searching for ways to help the planet recover from centuries of abuse from pollution and neglect. The ARK II vessel was, in the context of the show, a rolling laboratory, filled with advanced scientific equipment. The ARK II also carried a rather nifty all-terrain vehicle called the Roamer, which was based on a period kit car known as the Brubaker Box. As I recall, we didn’t see nearly enough of the Roamer in the show. ARK II was something of a flop, running for just a single season. I suspect the show’s preachy premise, and the pervasively bleak landscape proved too much for children and parents alike. 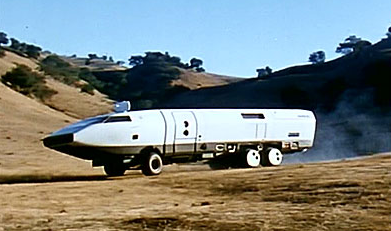 The ARK II was built on a conventional Ford truck chassis, with a futuristic custom body made out of fiberglass. Like many TV and movie vehicles, the bodywork was passable on film, but reportedly fairly rough up close. Seen here (clockwise from the top left) are Fleegle, Bingo, Snorky, and Drooper, behind the wheels of their own customized Banana Buggies. The Amphicat also appeared, sans polka dots and sunglasses, in several episodes of Space:1999. Unlike like the other two shows discussed here, The Banana Splits endured for more than a single season. And though a number of vehicles appeared on screen during the show’s run, it was the Banana Buggies that were the most interesting. Seen during the opening credits, and in several extended video sketches during the show’s run, the Banana Buggies provided the sort of wacky all-terrain entertainment one might expect from a show featuring live-action anthropomorphic animals. 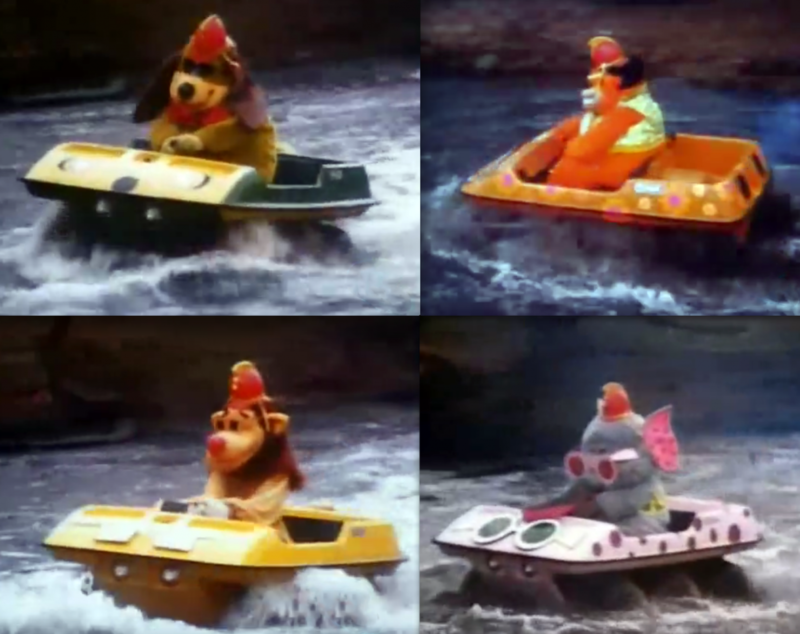 Each of the show’s main characters–Fleegle (dog), Bing0 (gorilla), Drooper (lion), and Snorky (elephant)–had his own Banana Buggy, each customized to some degree. The Banana Buggies were actually lightly disguised Amphicats, products of a company called Mobility Unlimited. 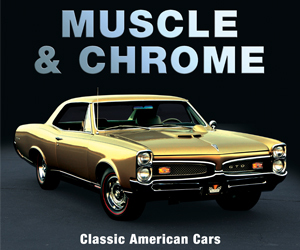 The 6-wheel all-terrain vehicles were powered by 16-horsepower, air-cooled 2-cycle engines, and were constructed largely of durable ABS plastic. 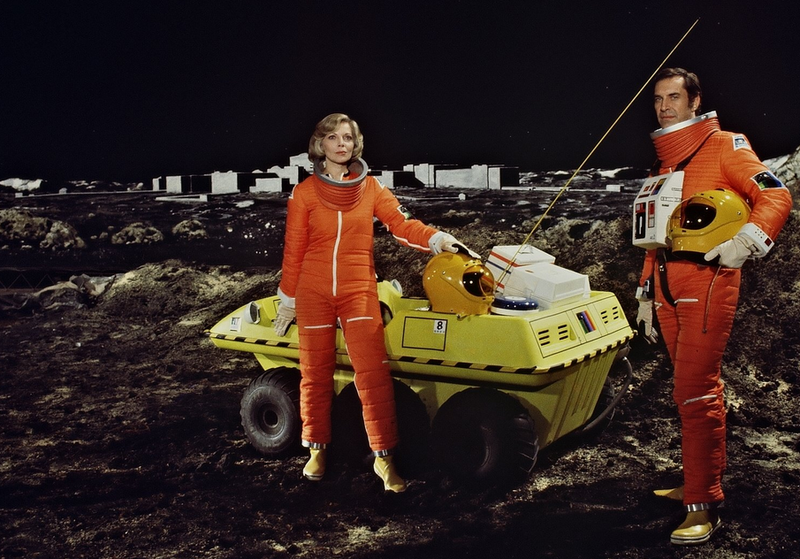 Sans polka dots and decorative sunglasses, Amphicats were also seen on the Martin Landau science-fiction series Space: 1999. Little is known about Electra Woman’s and Dyna Girl’s ElectraCar, except that it is electrically powered, and that it can, as needed, fly. Since she was working full time, we assume Dyna Girl (left) had a driver’s license. Regardless, Electra Woman always drove the ElectraCar. 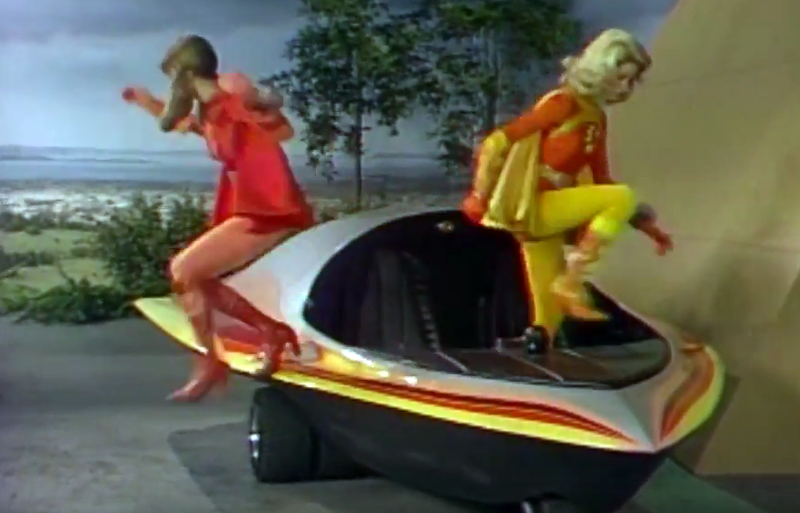 Mild mannered reporters Lori and Judi transformed into crime fighters Electra Woman and Dyna Girl in this live-action children’s show that aired under the umbrella of The Krofft Supershow. 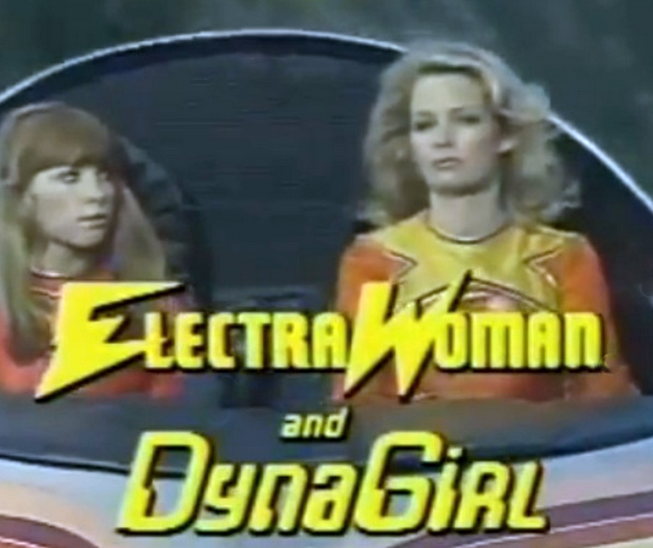 Though not endowed with special powers, EW and DG enjoyed the services of their wrist-mounted ElectraComs, which allowed the female dynamic duo to fly, communicate with each other, and, most importantly, summon their futuristic three-wheeled car. 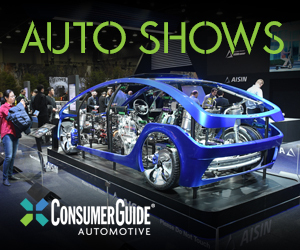 Little is known about the “ElectraCar,” but in the show it was electric-powered (of course) and could also fly. As the car was not equipped with a canopy or windshield, we can only assume that extended drives–or flights–were uncomfortable, as the crime-fighting pair never donned protective headgear. The ElectraCar is featured prominently throughout the series, and is seen in the opening credits as well. As demonstrated in the photo above, running boards or side steps of some sort might have been useful accessories. Despite a cast composed primarily of attractive women in superhero costumes–a seemingly sure-fire way to attract male viewers–an audience never materialized for Electra Woman and Dyna Girl, and the show was dropped after just one season. Written by: Tom Appel on July 16, 2018.on February 27, 2019.